The issues concerning our Nation these days are multi-faceted: (effective ending of the escalated crisis in Darfur to the advantage of the victimized population of the region; democratic transition by fair elections and consensual security measures; faithful procession of the optional unity referendum; due prosecution and eradication of the government’s self-incited corruption; and continuous principled application of the unfulfilled agenda of the Comprehensive Peace Agreement (CPA) by restructured workable relations with the Sudanese opposition forces and the International Community, especially the United States and the International Criminal Court, among many other national and international concerns). Politicians have already burdened their agenda with the issue of national elections as a key factor to complete the transition to democratic rule. Political sociologists, including this writer, however, are more concerned with the structural situation of the country, namely the possibilities of harmonizing the North-South state relations to end increasing tensions in the level of state authority and the constitutional jurisdictions of state-managers. But the roles to be played by opposition groups and the International Community are indeed prominent: The latter entities, opposition and internationals, would have to work closely with both Federal (Central) Government and the South Sudan Government to bring about a flexible formula to accomplish the outstanding agenda for the ongoing democratic transition. A fact often left out in the political formulae of the country’s state of affairs, nevertheless, is that both opposition groups and the International Community would have to consider seriously the urgent need to appreciate indigenous components of the formula in terms of two realities: 1) The Old Society of Sudan led by the Sufi large traditional forces in the North, and 2) the New Sudan’s aspiring groups [of which the anti-democratic extremist NIF/NCP MB ruling party is de facto authority body] the Self-Autonomy Armed Groups (SAAG) chiefly the SPLM, as well as Darfur and the East self-autonomy armed groups manifested a different path of political development in the light of the CPA. Uniquely different from both groups, the 1930s-2000s Democratic Modern Forces (DMF), namely the secular trades unions, liberal political parties, and voluntary human rights and democracy groups, constituted an independent political category that has consistently forced an independent path of development in the state and society relations. At this point, it is worthy to mention the genius efforts Joseph Garang, the first minister of the newly-established South Affairs Ministry, exerted in the late 1960s to boost DMF relationships in the two parts of the Nation. The SAAG has shown in the post-CPA years (2005-9) mounting influence in the public life as they evolved in the regions with significant connections in the national and the international space. Except for the NIF/NCP MB hegemony over the State and the national economy, which has been further characterized by financial corruption, abuses of authority (up to the most recent partisan intrusions in the elections’ registration process), and an unprecedented record of human rights violations, the SAAG leading the South, East, and Darfur regions has not yet offered clear democratic styles of governance; instead, they often acted in reaction to the NIF/NCP offensive practices. Of particular significance, the national and the international media and diplomacy have largely defaulted in appreciating the key issue of highlighting the Old Sudan statuses and roles before and after the CPA and in the future affairs of the country. Because our post-independence national elections revealed the persistent influence of the Umma and the Democratic Unionist Party (DUP) traditional parties as leading constituencies in the democratic national elections, we will discus briefly the situation of the Old Sudan popular constituencies, which based on Sufi Islam remain the sole real competitor of the NIF/NCP state-supported party in the northern, eastern, western, and central regions of North Sudan. The international media and diplomacy must first of all recognize that the significance of Islam for the social life of the majority Muslim populations is omnipotent. Over long centuries of cultural and religious adaptations with the deeply rooted African origins of the Nation, the Sudanese society has creatively incorporated principal teachings of Islam, whatever adoptable, in accordance with African cultures and social structures. 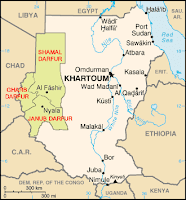 The only doctrines that most competently contained such adoptions were those of the Sufi traditions of the Sunni Islam that exerted a great effort by their founding jurists to be part of the Sudanese-African belief systems, the prevalent administrative and political self-autonomous arrangements (as in the Darfur agricultural hakorat), and the matrilineal family relations that carried with them tremendous respect to the women as well as the extended family/tribal solidarity communalities in the context of an overwhelming Bedouin and agrarian norms of the social life. Since the advent of Islam and its peaceful penetration in the indigenous life of the 5-centuries old Nubia Christendom’s, the politics of the country have been firmly founded on this socio-religious amalgam, which is most articulated in the Sufi traditions of the North. This writer disagrees with the opinion that the Sudanese Islam was solely brought into the country by famous Egyptian, Iraqi, and Moroccan jurists. The impact of the Nubian Christians, the inhabitants of the land that basically adopted Islam, and their once-committed clergy of the Church, as well as the influences of Sudanese African cultures, were major sources of the rituals, spiritualities, and beliefs of the post-Christian Sufi traditions together with the worshipping and transactional jurisprudence of classical Islam. The most important inherited authority that documented this fact indirectly by its own unique style was the Tabaqat of Sheikh Mohamed Daif-Allah which reflected a massive mythology of the Sudanese medieval African, Christian, and Islamic heritages. This research area is unnecessarily neglected, although it reveals significant aspects of Sudanese personality and Sufi Islam. The Sudanese Sufi Islam’s glorious tendencies of peaceful co-existence, equalitarianism, tolerance of social differences, and emphasis on humanitarian relations was nothing but a huge product of the African-Christian-Islamic merges of the country’s cultures and beliefs. In the colonial and the post-independence times, even the secular DMF collaborated openly with prevailing Sufi traditions of the Nation that pervaded both the Muslim and the non-Muslim communities of the North, in particular, in religious, social, and political terms. Still in the South, small groups in the provincial towns exercised the Khatmiya, Ansar, and other Sufi traditions, thus maintaining political commitments to the Umma and the DUP political parties rather than acquiring memberships of the southerner political groups. Besides the warring environment by a prolonged civil war, the lacking of large urban and industrial settings, moreover, precluded the spread of DMF in the villages and towns of the South. The Muslim Brotherhood (MB) did not share the same concerns of the Sufi traditions of Sudan. Influenced by the foreign thought of Egyptian, Iranian, and other fundamentalist doctrines, the Brotherhood was destined to align with governments and authorities rather than the Sufi groups throughout the MB experiences with the state and society. Early in the October Revolution 1964, the MB leadership supported the generals of the defunct November 1957-64 dictatorship to enable them to escape legal prosecution. Repeatedly in the 1970s and 1980s of the Nimeiri era, the MB cooperated with the falling regime to inherit almost all its ruling apparatuses only to persecute people. Later in the April Uprising 1985, the MB collaborated with the Transitional Military Council to ensure political dominance over the upcoming national elections and the ensuing Constituent Assembly. But the biggest victory of the MB striving to monopolize power and wealth was achieved evidently by the June coup 1983 by which the MB monopolized state powers to favor an Islamic Project supported vehemently by international allies in Iran and other Middle East societies. The face of the Sudanese politics indicates prolonged control by the MB over state politics, even after the CPA. Still, the societal conditions, intellectual resistance, and above all Sufi foundation of the Nation persisted as concrete fire walls versus the foreign indoctrination of the NIF/NCP MB rulers. To understand this situation, we sketch the long-enduring structure of the Sufi life exemplified by the Ansar and the Khatmiya Muslim groups whose religious formulations provided the Umma and the DUP (the major coalition governments succeeding all democratic elections in Sudan) with incomparable sources of support since the early 1930s of the 20th century. Here, the lesson is that the future of a democratically unified Sudan might well hinge on the establishment of a strong political alliance between these two parties, rather than a coalition government that the NIF/NCP MB is most eager to make with them in 2010. In our opinion, such government would inevitably fall into the same authoritative rule the MB thus far exercised throughout the 1990s and the 2000s. The experience of a coalition government of these three parties in the late 1980s produced nothing but the notorious 1989’s MB extremist coup and dictatorial regime. The Sufi-based Umma and DUP parties should live up to the requirements of removing the dangerous state of affairs of the Nation. Despite 20 years of exclusion from participation in the national decision making of the country, added to unfair representation in the CPA, the International Community must be aware that a stable future of Sudan will never come about without full restoration of the Umma/DUP moderate politics and the Muslim Sufi tolerance of the Sudanese cultural and political diversity. It is always important to ascertain the political impact of this reality with due reference to the results of the democratic elections of Sudan by geographical constituences. In 1958, the Umma won 57 seats and the Unionists [lately DUP] 14. In 1965, Umma received 76 out of 173 seats and the DUP 52. In 1986, the Umma won 97 of 207 seats in Constituent Assembly to form a coalition government with the DUP, the second largest group. Skipping the vital roles the Old Sudan Umma/DUP large constituencies play in the national elections will always weaken the validity and the reliability of possible analyses of the situation, as it produces nothing but poor insights into the realities and the prospects of a smooth democratic transition in the whole country. The aim of this article is to draw attention to the need to assess the influence of major political forces in the 2010 elections with a view to incite sufficient willingness from the part of Western Powers to earn the trust and confidence of the Sudanese in the process of enhancing international cooperation and friendship by diplomatic, trade, and cultural relations as determining factors in the world peace and progression. Interestingly, President Obama approach in his address to the Muslim World in Cairo (June 2009) made a fine example of this desirable action. Earlier, many Western thinkers, including Gouldner, Geertz, Eisenstadt, Rueschemeyer, Huntington, and the Lobbans, to mention a few, observed the top priority of Western foreign services to appreciate the religious beliefs, cultural settings, different languages, and the long list of social domains that characterized the identities of overseas nations differently from the Greek-based civilizations of the West. A major question, then, is pertinent to: 1) the preparedness of the Sudanese society to accomplish the wisdom of peaceful co-existence within two contradictory forms of the political life, i.e., a spiritual non-worldly order and a secular worldly system of international norms; and 2) the competencies of foreign powers to work with due respect to the cultural particularities and political realities of the country. This means that Western foreign powers, as well as the Arab League and the African Union, must play active roles in close consultation with the People of Sudan, not only the ruling parties, to help the transition to democratic rule. The democratic opposition’s striving to voice grievances of the vast majority of people culminated in the successful meetings of the Juba Conference (September 2009), which allowed the Old Sudan Umma and DUP opposition groups to share with SAAG and the DMF to discuss key national strategies in conference to redress the CPA faltering implementation towards the overdue establishment of democratic transition and a real implementation of the right to self determination in the South, as well as autonomous rule in the other marginal regions. Following the Juba Conference (Juba: September 2009), the Khatmiya Guide Mohamed Osman al-Mirghani announced unreserved support to the resolutions of the conference in which the Democratic National Forces (a political umbrella embodying the National Democratic Alliance, Umma, and other opposition groups) expressed irrevocable support to the right of the South to optional unity and the right of Darfur to enjoy peace and development vis-à-vis the MB brutalities and genocide, and the national consensus on a straightened population census and fair democratic elections, of which only the NIF/NCP MB was renegade. Significantly, the Juba Conference unified the Nation’s willingness to enforce a principled implementation of the CPA that alone shall end the steeping failures geared and engineered by the MB dictatorship. The technically granted parliamentary veto to the NIF, which scored less than 20 percent of the national vote in the latest democratic elections in 1986 before occurrence of the June coup, has been consistently criticized as a source of continuous tensions between the opposition and the NIF/NCP-controlled government. The message is that CPA bilateral deals between the NIF/NCP and the SPLM should be democratically restructured to accommodate fair representation of the Sudanese political forces indiscriminately. The Western World is not equally aware of this overriding fact, or perhaps the West is too slow to move efficiently to ally with Sufi Muslims, the most enduring social forces of North Sudan, the dynamic SAAG and DMF of the Sudan. The resistance of Sufi Muslims to the Brotherhood demagogic authority is a fact that has been permeating the social structure, the consciousness of masses, and the ever-increasing popular willingness to eliminate the alienating authority patterns the MB dictatorship initiated and developed in the state-society relationships for two consecutive decades by the continuous persecution of the Old Sudan reformists and the New Sudan revolutionaries. The consequences of the NIF/NCP MB implementation of the CPA, however, revealed the breadth and depth of the political crisis the country is currently suffering as the MB insists on prolonging al-Bashir rule of terror: repressing the country unrelentingly; abusing the CPA to escalate tensions with the peace partner and the South Sudan Government; fixing the notorious security and intelligence apparatus and the Public Order Act; extending the MB authoritative rule beyond constitutional limits; and applying a series of illegal actions in the registration proceedings to monopolize the vote. The MB political striving to monopolize political power will continue to pose a constant threat to the country’s regular democracy and just peace. The ruling party dictates to entrench anti-democratic traditions continued to terrorize both the Muslim and the non-Muslim populations by the consistent use of institutionalized intrusions in the free press, and the popular activities of civil society groups, irrespective of the CPA treaty and the Interim Constitution. Added to gross violations of the right to religious belief specially for the non-Muslim population, the freedom of the press, and the other human rights and fundamental freedoms, anti-democratic campaigns never ceased to occur against the Ansar and the Khatmiyya, the SSAG, and the DMF who comprised a multiplicity of indigenous cultures and spiritual practices illegally curtailed in the North by the National Security and Intelligence Department (NSID), despite unauthorized jurisdiction by the Interim Constitution to exercise police powers. These uninterrupted decades of routine repression perpetuated gross abuses of authority against the cultural and religious life of people. Most importantly, incriminating fatawi [religious decrees] by the NIF Shura Council and ‘Ulama [jurist] Committees enjoyed unprecedented support by the government controlled-media to intimidate secular thinking and to apply continuous measures that terrorized the opposition and sterilized the free exchange of intellectual works. Empowering the Brotherhood’s rank-and-file with this flagrant overriding of the Interim Constitution’s Bill of Rights, including security powers to a variety of non-professional demagogic supporters, has already jeopardized the essential fairness of the scheduled national elections in April 2010. Not only that the fatawi condemned university professors or civil society activists with blasphemy for simply opposing the government’s policies and practices in all spheres of the social and political life; but the MB ‘ulama controlled hundreds of mosques with regular preaching against secular thought and the need to support the “Islamic authorities” against the “enemies of Islam.” Most recently, however, brave Imams of Sufi Islam in Khartoum and other cities criticized publicly the MB authorities and asked for justice and fairness in all processes of national elections. The failure of the NIF/NCP MB theological state to boost the economic and political development of the country does not mean that the MB incompetency has been completely exhausted, or that they might surrender to an alternative democracy. The MB might perhaps live as a religious social group much longer than the Bashir NIF/NCP ruling or the NIF/NCP split group which joined the opposition ranks as soon as it was removed from government. Unlike the NIF/NCP state beneficiary (1978-1985, 1989 to the present), the MB developed ideological and political support among college students, businesses, and several professional groups since the mid-fifties that, supported by government security and administrative authorities, never ceased to use violence against civil society groups. The MB has adequately maintained social existence in the urban quarters of cities, besides modest influence amongst the non-secular communities of the Bedouin side of the country that had been largely controlled still are by the Ansar and the Khatmiya. Remarkably limited in size and scope, the MB might never be able to compete largely with the Khatmiya or the Ansar Sufi constituencies in democratic elections, let alone replacing them via non-democratic alliance with the June army officers. A pro-terrorist group, notwithstanding, the MB will always beg for political control by state power rather than democratic competition. Most likely, new terrorist leaderships, including non-Sudanese elements, might emerge in non-democratic alliances inside the Sudan with armed groups that yearn to control civil society by the repressive power of the state versus the voluntary will of civilian population, in spite of the CPA prospects for peace and stable democracy. The Khatmiya and the Ansar communities have persistently maintained social and religious structures independently from state control, at the time serious political divisions wracked the political parties of the UP and the DUP. True, dictatorial attacks never ceased against popular Islam since independence. Led by MB groups in and outside Sudan, the most recent attempt to dismantle the Ansar/UP and the Khatmiya/DUP entities has completely failed to “inherit” the powerful machinery of these groups by decree. The NIF war-mongering state managers have feverishly persecuted the Ansar and the Khatmiya, sometimes more than the UP or the DUP, to undermine the Sufi Muslims’ long-enduring self-sufficient economic, spiritual, and ideological existence in the social life. In this destructive process, the authoritative rulers used both containment and exclusionary policies to subdue the Ansar/Khatmiya popular institutions, to no avail. This failure is related to the fact that the Sudanese Muslim society has consistently condemned the state attempts that abused the country’s human resources and national wealth to establish artificial bodies to undermine community organizations, or to control popular voluntary activities. The NIF/NCP tyrannous rule converted the small portion of the Sudan MB to one of the wealthiest sections of the population by the direct use of government monies and the confiscation of opposition property. The immediate result of these ill-practices reflected in the reduction of the UP-DUP financial power in the market and the impoverishment of large sections of the Khatmiya and the Ansar businesspeople, as well as their farming and working forces. Updated studies indicated the great economic and financial loss of the “traditional conservative business groups” in the production and business sectors to the MB government-supported businesses throughout the 1990s and the early 2000s. The miserable failure of the MB international movement to indoctrinate the Sudanese society with the MB political ideology should analytically help to separate clearly between the authoritative doctrine of the MB to suppress society by state powers on the one hand, and the daily exercise of religious faith as a fundamental human right exercised by the Ansar, the Khatmiya, and the other Sufi sects as well as the Muslim groups not subscribing in compliance with the structure and functioning of popular Islam to the MB fundamentalist doctrine or their partisan State theology that attempts to govern the whole population by religious discrimination. While the UP and the DUP party conferences in and outside the country acknowledged the necessity of implementing a national constitution to guarantee the freedom of religious belief as urgent political agenda, the UP and the DUP dissident elements cooperated with the NIF government to subdue the Ansar, the Khatmiya, and the other opposition groups only to fall prey to un-resolvable disputes with large sections of the masses that did not want them to collaborate with the NIF rulers. The few elements of the UP-DUP that became presidential advisers, governors of wilayat [states or provinces], junior state ministers, or winners of some business deals in the service of the NIF rule might have unwittingly helped the Umma/DUP to clear their rank and file of the NIF supporters infiltrating their political or religious bodies. One of the main results of the NIF failures to override the Sudanese popular institutions was that the Sudanese Sufi groups held strongly to the traditional leadership of the Ansar and the Khatmiya, regardless of the deteriorating economic and financial situation of the sects. Notwithstanding, the Old Sudan Ansar and the Khatmiya institutions, the SAAG, and MDF must be financially supported to be able to compete with the NIF/NCP MB monopolies over both state and market businesses. Another obvious result was that the NIF policies and practices to succeed the leadership of these large communities by state violence have been neatly defeated, judged by the sustainable independence of the Umma/DUP, SAGG, and DMF from the NIF/NCP MB state monopolies, and the mounting opposition to the MB state and party by students, professionals, and many other working groups, women and men, of whom a majority belongs to the Sufi Muslim groups and the opposition parties against the NIF all over the country. A third result is that the Ansar and the Khatmiya solid representation of popular Islam prevailed consistently over the NIF/NCP MB Iranian-modeled authoritative rule. If consistently encouraged, the Ansar and the Khatmiya Sufi Islam would survive in strong alliances with the secular forces of Sudan in the post-democratic transition rather than those alliances previously experienced under the MB unpopular order. The MB doctrine works strictly in deep hatred of both western democracy and the Sudanese Sufi Islam and cultural traditions that have been symbolically represented and politically acceptable by the two Old Sudan parties, besides alliances with the SSAG and DMF. The Sufi Islam of the Khatmiya and the Ansar is firmly grounded on a liberal life that had been closely coexisting with western democracy and capitalist democracy for long decades since the closing years of colonial times. 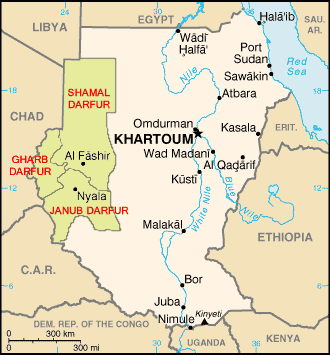 The Ansar, the Khatmiya, the Umma, and the DUP shared increasing national interests with several partners of the secular umbrella of the NDA, notably the communist party, the SPLM, the non-governmental unions and professional associations, the East groups, and the Darfur civilians and armed groups versus the NIF common enemy. In our opinion, these opposition groups might make partial alliances with one another in the elections and the post-elections Sudan. All in all, however, they will continue to struggle, in principle, to stop the NIF/NCP BM state managers from transgressing the right of self-determination, regional autonomous rule, and the other basic public freedoms and fundamental rights. In the light of the NIF repressive policies, it might be predicted that the Sudanese current struggles to establish the regular democracy and the permanent and just peace would either end up successfully, or that, regrettably, the NIF/NCP tyrannous rule might engage the country in a renewed eruption of civil war with a strong possibility of regional and international intervention, which could possibly transcend the South-North conflict to the detriment of the continental, inter-continental, and world peace. To strengthen the positive possibility of a successful democratic transition to an era of post-elections permanent peace and sustainable development, let us repeat the call voiced in the Juba Conference (2009) on the NIF/NCP government by the National Front, the NDA, SPLM, UP-DUP, Darfur civilian and military groups, and civil society organizations to establish an all-Sudanese government to run the next elections. Furthermore, these political forces, including the NIF/NCP MB government, must improve democratic performance and organizational structures to be prepared for the elections and the post-elections era. A significant step to facilitate this program is for the Ansar and the Khatmiya leaderships to take effective steps to democratize the structural relationships of their organizational activities to touch more deeply upon the general popular movement of their political allies, the democratic modernist parties including the SAAG and DMF versus the NIF/NCP MB extremism and political repression. To allow Sufi Islam as a vital structural component of the cultural heritage of the Muslim population to act strongly in favor of democracy, all systems of rule, regardless of their ideological or political orientation, must comply with the Bill of Rights and the other constitutional provisions that guarantee the full enjoyment of civil, political, economic, and cultural rights to all citizens, indiscriminately. To facilitate this democratic transformation, the Sudanese ruling systems must fully adhere to the right of people to select freely their own leaderships and organizational settings. While this writer appreciates the concerns of some thinkers to establish democratic governance by periodical succession, the fundamental principle of democracy, i.e., the people’s voluntary will to keep in office whoever they wish to govern their public affairs, should not give way to the necessary emphasis on periodical succession. This fact applies to the succession issue in most African nations. It is only when the elected leader decides to step down within a legal period of office that the electorate would find another leader. With more implementation of democratic rules on the basis of this fundamental principle, the Sudanese people will certainly enjoy voluntarily greater levels of democracy than those thus far attained.